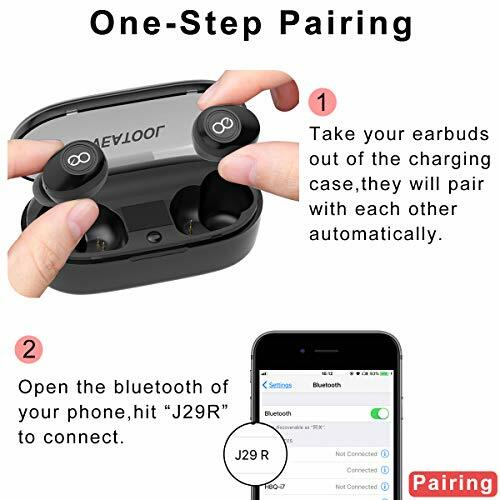 【One Step Pairing and Charging】The Twins Earbuds Turn On and Pair with Each Other Automatically When Take Out of the Charging Case; Turn Off and Charge Automatically When Put them Back into the Charging Case. 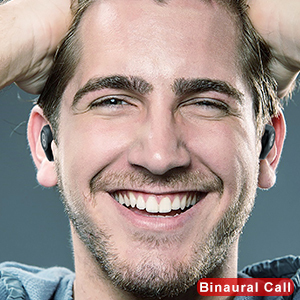 【Binaural Call and Stereo Sound Quality】Call Audio in Both Ears, Don’t Worry About Just One Earbud has the Voice. 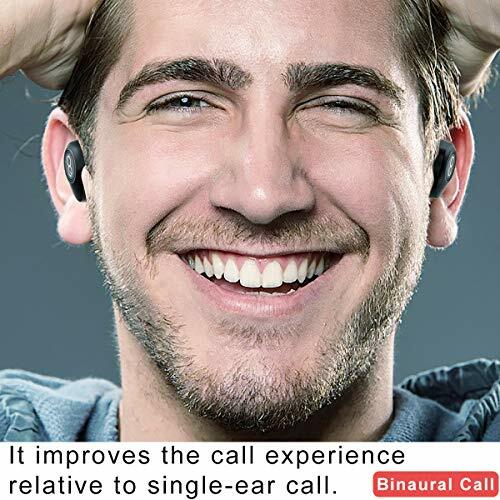 Enjoy a Real Wireless Experience. 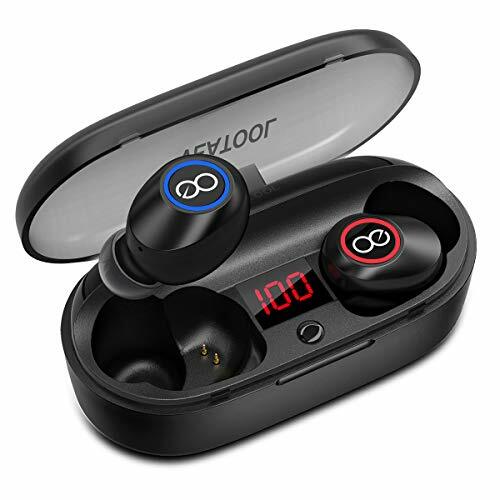 Adopting Bluetooth 5.0 HD Rendering Technology that Produce Incredible Sound Quality with Deep Bass and Crystal Crisp Treble. 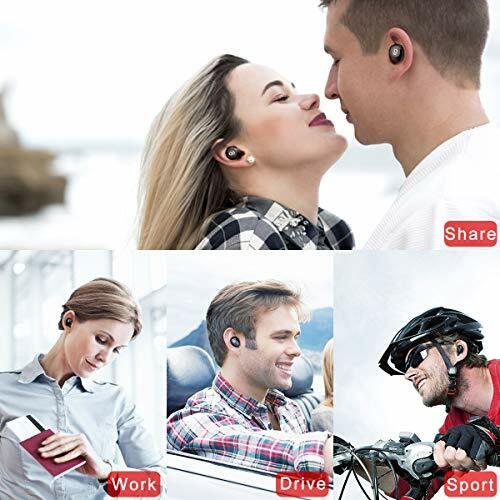 Built in High Quality Noise Reduction Technology Chip, Can Block out lots of Surrounding Noises During Sports, Running, Jogging etc. 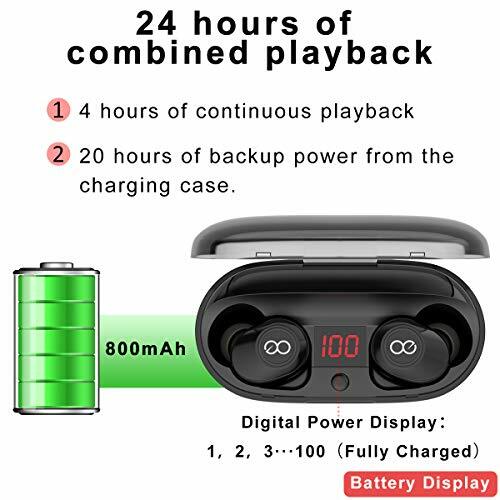 【Portable Charging Case and Long Battery Life】The Twins Wireless Earbuds Can Last for 3.5-4 hours’ Music Time On a Single Charge. The Charging Case is a Power Bank, It Can Charge the Twins Earbuds for 5-6 times, So the Twins Earbuds Can Last Up To 17-24 hours. And the Charging Case has the Battery LED Display, You can Know When is the Best time to Charge. You Can Go out for fun Without Worrying About Battery Shortage. 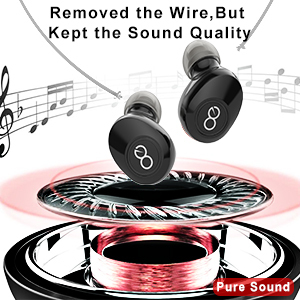 【True Wireless Technology】No Trouble with Wire Tangle Anymore, Built-in Bluetooth 5.0 Chip, Offers Fast Speed, Stable Connection, Enable to 33ft Transmission. 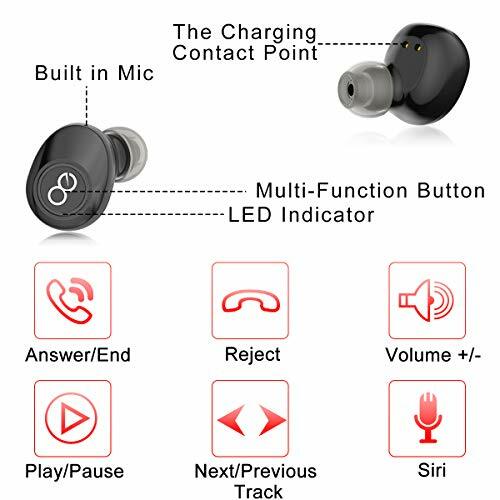 You Can Use the Twins Earbuds to Achieve Volume +/-, Play the Next / the Previous Songs, Answer/Reject Calls, Activate the Voice Functions. 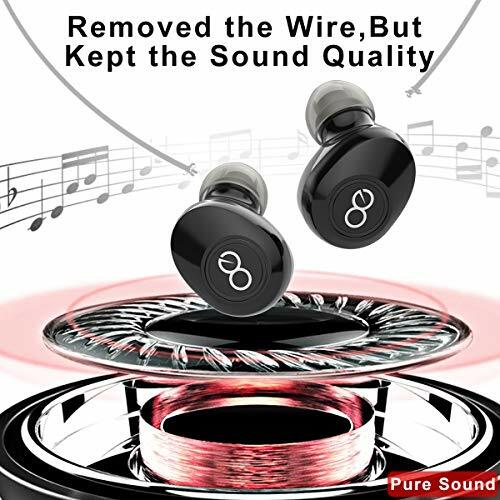 【After-sales Guarantee】One Month No Reason Money-Back Guarantee and 12 Months Replacement Warranty, If You Are Not Satisfied with Your Purchase for Any Reason, Please Feel Free To Contact Us at the Buyer Center or Support Email, 24 hours Quick Reply. 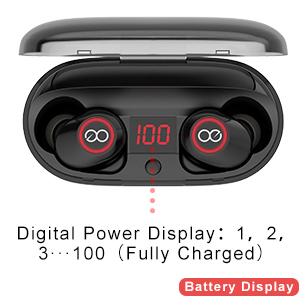 The digital of the charging case shows the remaining battery，you can know when the charging case need to be charged according to the digital,you are no longer afraid of the charging case does not have enough power to supply the wireless earbuds. 1.When you take out the earbuds from charging case, the wireless earbuds are paired automatically. 2.When you put the earbuds into the charging case, the wireless earbuds are shutdown automatically. Professional tuner repeats tuning based on years of experience, tri-band balance, and pure sound quality. 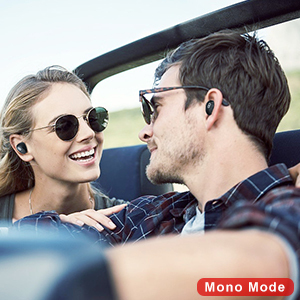 Including the hearing range of 20HZ-20KHz, enjoy the wireless music. 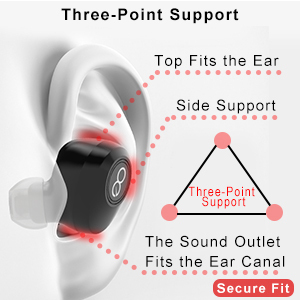 We collected a lot of eardrum data, and the wireless earbuds passed the wearing test of hundreds of people.Three-Point Support makes the wearing more comfortable. They are more suitable for our ears, not easy to fall. 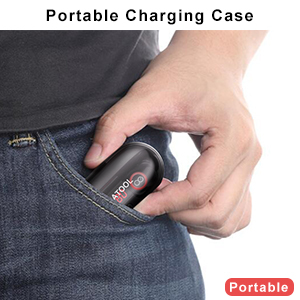 It can charge the Earbuds for 5-6 times.So, you can take it anywhere at any time. The music is all around us. 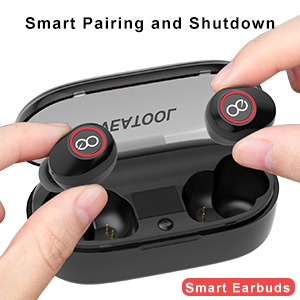 All you have to do is listen by Veatool Wireless Earbuds. 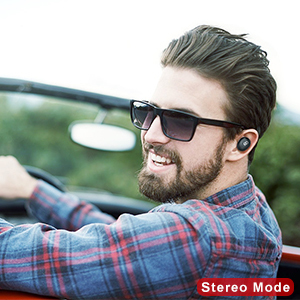 Each wireless earbud can be used independently,you and your friends can enjoy different music. 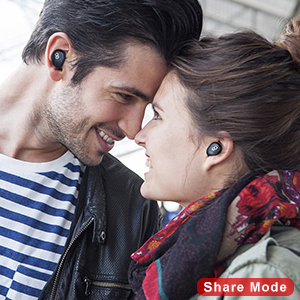 You wear wierless earbuds at the same time, you can share the same music to your friends.